PARK BLOCK ELEGANCE. 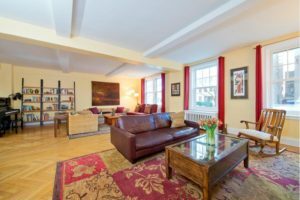 This spacious Classic 7 home is both traditional in design and yet contemporary in its open, expansive layout. 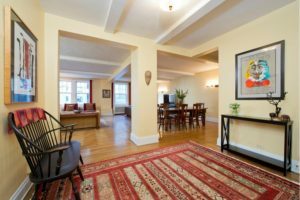 While still retaining its charming prewar details, including stunning herringbone floors and high, beamed ceilings, the side-by-side living and dining rooms have been combined to create a truly grand and special room with 4 oversized windows spanning its width. This dramatic space is ideal for entertaining or just stretching out and relaxing for a quiet evening. 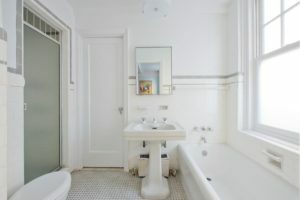 Quietly separated from the living areas of the home, the bedroom wing consists of 3 generously-proportioned bedrooms, plentiful closets, and 2 full bathrooms with original subway tiles, cast-iron tub, and a separate shower in the master bath. 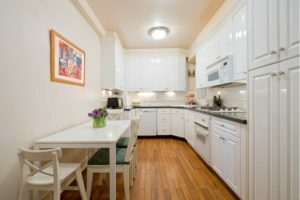 The spacious, windowed, eat-in-kitchen features granite counters, excellent cabinet space as well as a large pantry, and modern white appliances including a Subzero refrigerator. 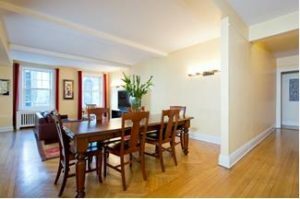 Off of the kitchen, an office with a renovated half bath and full-sized, vented washer and dryer add convenience to this special home. 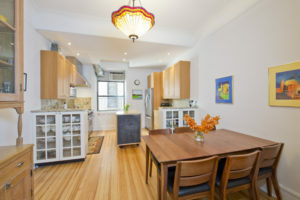 12 West 96th Street is a beautifully maintained, boutique Cooperative with 24-hour elevator operator, live in super, playroom, central laundry, bike room and storage. 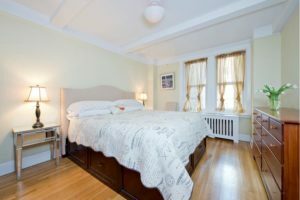 Residents love its convenient location just off of Central Park with easy proximity to Whole Foods, public transportation and all neighborhood amenities. Pets are welcome! There is currently an assessment of $156.60/month running through 3/2018.